to solve your nagging business problems ? We built, grew and sold a software business. 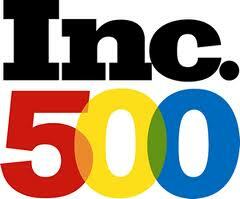 We earned a spot on the Inc 500 for high-growth. We know what works. We apply our experiences, expertise, problem-solving approach and no-holds-barred creativity to find the best solution to your problem... within your realistic constraints. ( or we can help you sell out or unwind the business ). Read about our services FOR < each type of company> to see what we can do. Then put us on your team. Uncovering fraud requires a deep experience with not just the numbers but how they interact and should fit together. See < FOR LAW FIRMS> on the menu bar. PROBLEM: I need more revenue ! SOLUTION: look at what else existing Customers need and what other niches need your products. PROBLEM: my sales team's closing ratio is getting worse ! SOLUTION: learn techniques to rapidly qualify prospects and gracefully remove the non-buyers. PROBLEM: my sales are on target but my cash flow is poor. SOLUTION: learn to get more cash up front; don't be their 'bank'. PROBLEM: my engineers don't know how to manage ! SOLUTION: get them some business skills, not an MBA. They can learn to manage with proper education tailored to them. Do you want to talk over a virtual lunch ? If you want to discuss your business' problems and seek possible solutions, we can talk at lunchtime via a simple teleconference. Just grab your lunch and call 724-216-6200. We have 45 minutes to listen to you and offer our thoughts. See if you like what we have to say. Copyright 2015 Edgewood Systems. All rights reserved.